My daughter and a good friend from college have moved to a new apartment recently. She told me that she and her friend would really like to fill their pied-a-terre with plants. Could I please help them with this? I smiled to myself. She’s into plants now. I love it when she comes home. We would be visited, although we are not home! There would be telltale signs of her having showered in her bathroom. Or, I would find my leftover adobo in the fridge gone and there would be dishes drying on the rack. Or, there would be a few things missing from the kitchen. I smile contentedly to myself. It took me more than a year to get over the sense of isolation her departure ushered in to our daily life. When she was growing up, there was a schedule to follow during the week and another on the weekends. There were school events and sporting events. There were school sponsored activities and outside commitments that meant some travel to as far as Salt Lake City, Reno, or Dallas. And then, there were the school breaks. We mapped out our lives around all these. We took her everywhere with us. I guess she developed the travel “bug” from all those jaunts across the globe. Nowadays, I catch myself thinking of how her day is going out there, or how she’s keeping her apartment together, or where she’s spending the weekend when she’s not calling us for Dim Sum or brunch in the city. But there is a vague calmness to these thoughts now. I no longer worry that she might get caught in a downpour or heaven forbid, mugged in some dark alley. It’s the quiet realization of many things I cannot control even by worrying, or the understanding of her separateness from us. We knew we would have to allow her to get out there and make her own decisions. And her own mistakes. This, while we’re still around and able to help her pick up the pieces and move forward. We reassure ourselves that we shared, instilled, and drummed into her all our best values and practices in the hope it might make a difference for her. I think of the opportunities that lie ahead for her, and I’m almost envious. I think of all the societal and economic ills and I’m afraid for her. But all in all, I live vicariously through her. I enjoy hearing the “harrowing” tales, the little triumphs, the clever ideas, the smart and interesting friends. Yes, I’m a part of that, but not in the way I was when she was growing up. More like a consultant, at times, but mostly, a spectator in the wings, but nevertheless, still a part. I learn from her, and from her friends. I’m crossing my fingers their generation will have the perseverance to change societal norms towards greater humanity as we move to a more global community. She’s become my sounding board now. I find myself lamenting on those broad shoulders more and more. She, with the ears to listen when I’m frustrated. She, with the words of encouragement, the sunny optimism, putting things in perspective in a few succinct statements. The roles may have reversed. I want to be more like her now. This entry was posted in Empty Nest, Family, Letting Go, mother-daughter relationship and tagged Empty Nest, letting go, mother-daughter relationship, Parent, postaday2012, Postaweek2012. Bookmark the permalink. Pingback: The Journey From Mother To Friend | Not the Family Business! This is a beautiful tribute to parent-child relationship. It certainly changes when the small one (not so small any longer) leave the nest. It’s both amazing and somewhat sad. But that’s what childhood is all about; preparing for the child to be able to live its own life when time comes. We can only hope we have encouraged and educated the child to be able to stand on its own by then. Beautiful post. Though I am really not sure how I will adapt to that state when we get there. I probably will be a basket case. 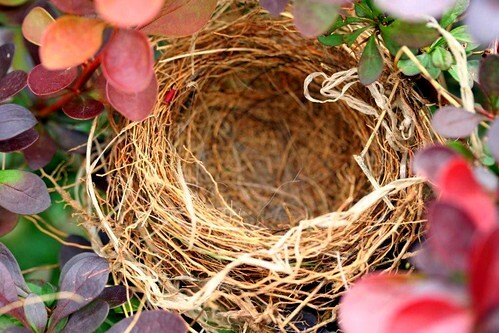 For now I will cherish every minute of a full nest. As hard as it may seem, while you’re in the midst of it all, there is life after the kids. It’s the next phase. But yes, do enjoy them while you can: while you’re still the “mostest of the most’ and they still hang on to your every word. A truly enjoy this post. A celebration of a mothers love to her child and vice versa. I’m happy for you. These are beautiful, “She, with the ears to listen when I’m frustrated. She, with the words of encouragement, the sunny optimism, putting things in perspective in a few succinct statements. The roles may have reversed. I want to be more like her now.” Have a great weekend and a happy blessings to you and your family. Your girl sounds wonderful! i know all you feel, my daughter is riding 2200 miles around Europe at the moment with her lovely guy on their motorbikes. They are texting every day which is very reassuring but its still hard! Oh, Gilly. You say it with such calm. Thanks for linking back to my blog in your related articles section. I appreciate the love. Thank you, Sophi. It’s such an honor. This is AMAZING writing, mom! Do you mind if I show it to people? Aw, Mom!! I don’t even know how to respond to this! I definitely could not have become me without you!